You are here: Home / Recipes / Appetizers / ITALIAN RICE AND BEANS SOUP – a fall delight! 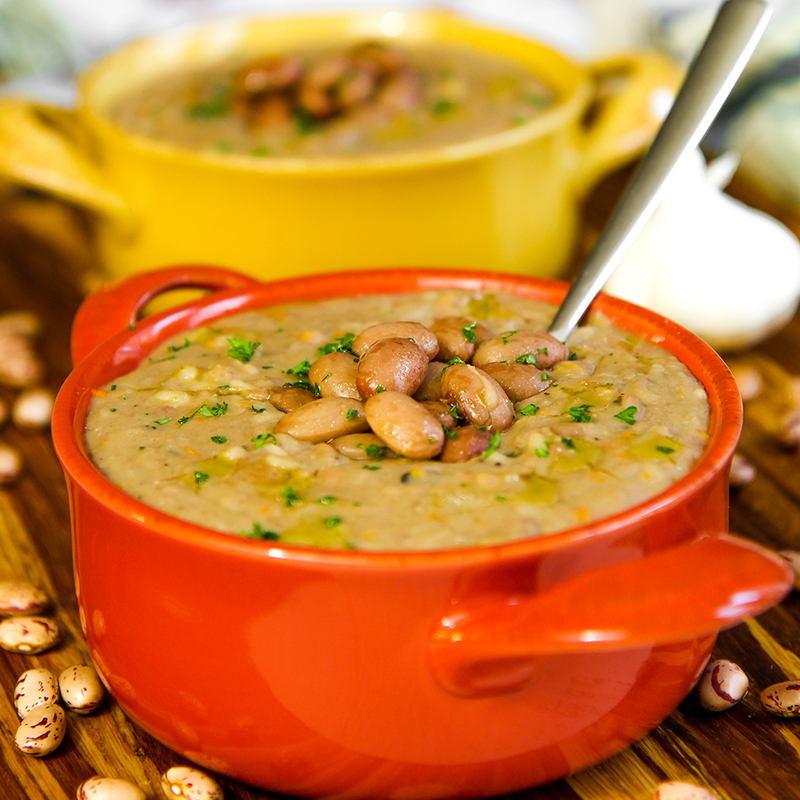 We can prepare this delicious soup with dried beans or canned. 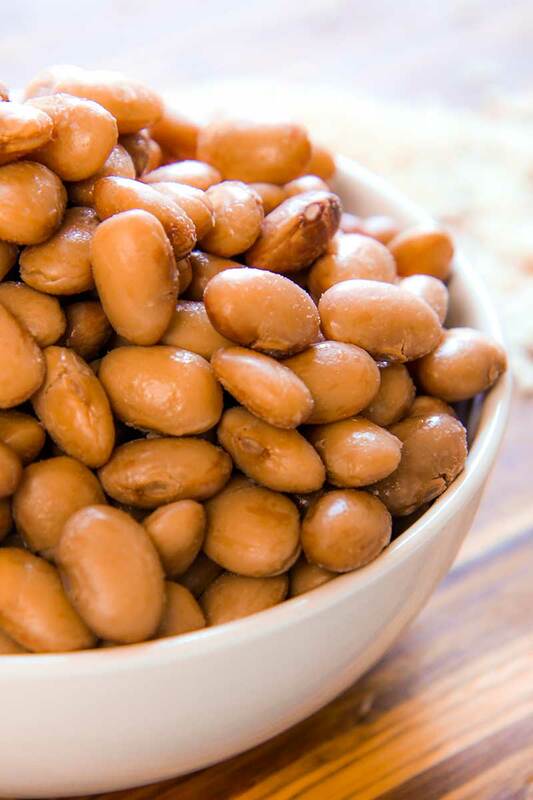 Although also with canned beans this recipe will be a success, If you have time I recommend opt for dried beans, the flavor does not compare! 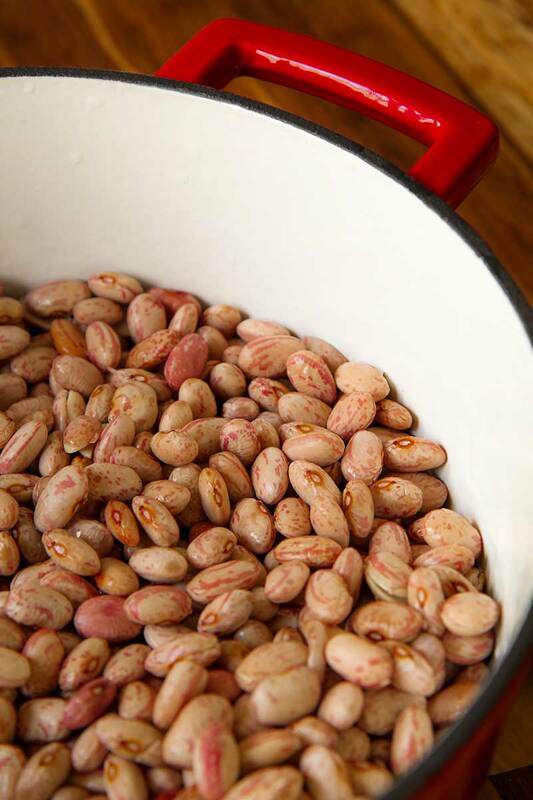 To cook the rice and beans soup with dried beans, you should first soak them in water for 8-10 hours. When the beans are softened, drain and pour in a thick-bottomed pan (best is a dutch oven) with a crushed clove of garlic and a sprig of sage. Pour water to submerge the beans by 1 inch, and put the pot on the stove. When the beans begin to simmer, lower the heat slightly and cover the pot with a lid. After a while check if the beans are still gently simmering. Cook the beans for about 1 hour, until they are completely soft but not mushy. While the beans are cooking, small dice onion and carrots. Finely chop the second bunch of sage as well. 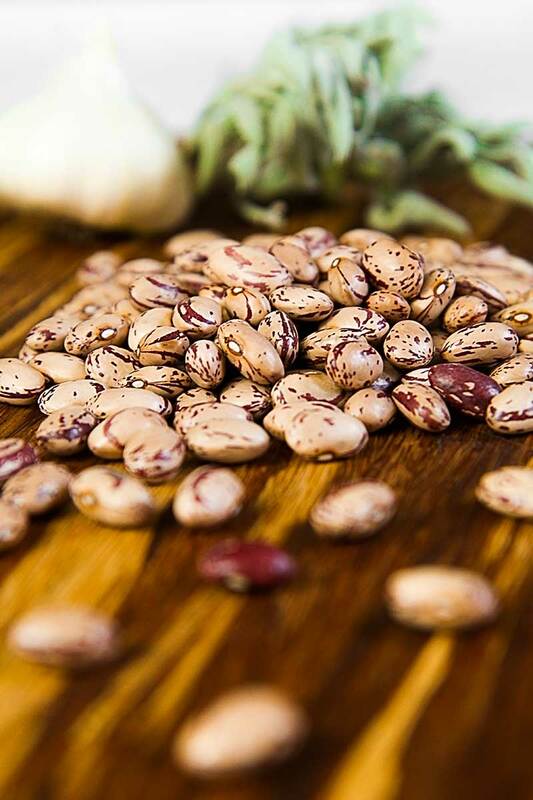 When the beans are cooked, drain them with a slotted spoon, and save the cooking water in a bowl, and dry the pan with a clean cloth. Now, pour 3 tablespoons of olive oil into the same pot where we cooked beans. Pour the diced onion, and carrots, and sage, and stir-fry until the onion is extremely soft and translucent. Pour half of the cooked beans into a blender. Add 1 tablespoon of olive oil and a quantity of beans cooking water, enough to obtain a smooth cream. Blend everything and pour the cream in a bowl. 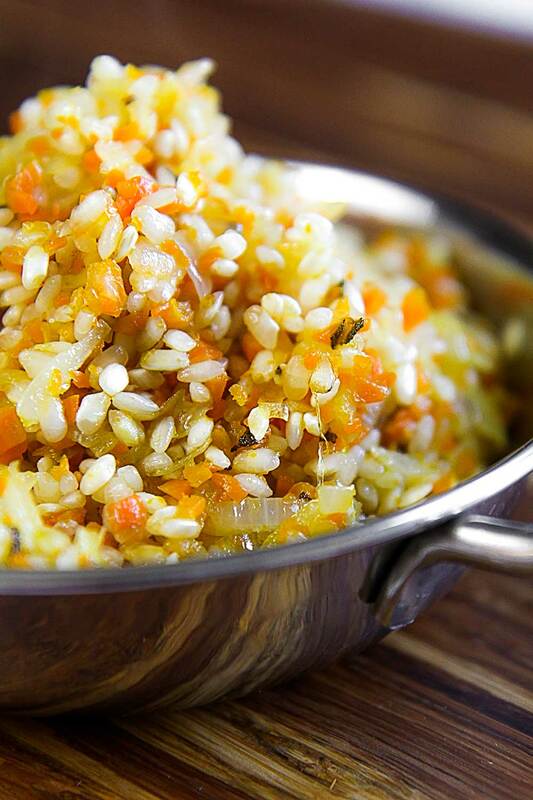 When the onion is soft and translucent, add the rice and cook over medium heat for 3 minutes, stirring constantly. This step is critical to keep the rice intact after cooking, so I recommend do not skip it. When the rice starts to become translucent at the edges, add a ladle of beans cooking water and the mashed beans. Cook until the rice is soft, but still intact, then add table salt to taste, turn off the heat, add the beans that we have preserved intact, cover with the lid, and let rest the rice and bean soup 5 minutes. Pour the cream into bowls, decorate with chopped parsley, a dash of black pepper and a few drops of olive oil. 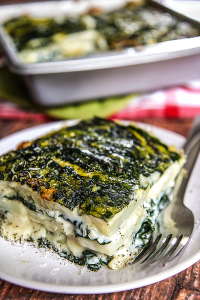 Serve immediately or preserve in a box into the fridge for a couple of days before eating it. ITALIAN RICE AND BEANS SOUP - a fall delight! Winter is coming? It is time for a tasty rice and beans soup. This classic Italian helps to tolerate next cold days! Follow this recipe step-by-step, and you'll have a real delight, directly from my family’s cookbook to your table!